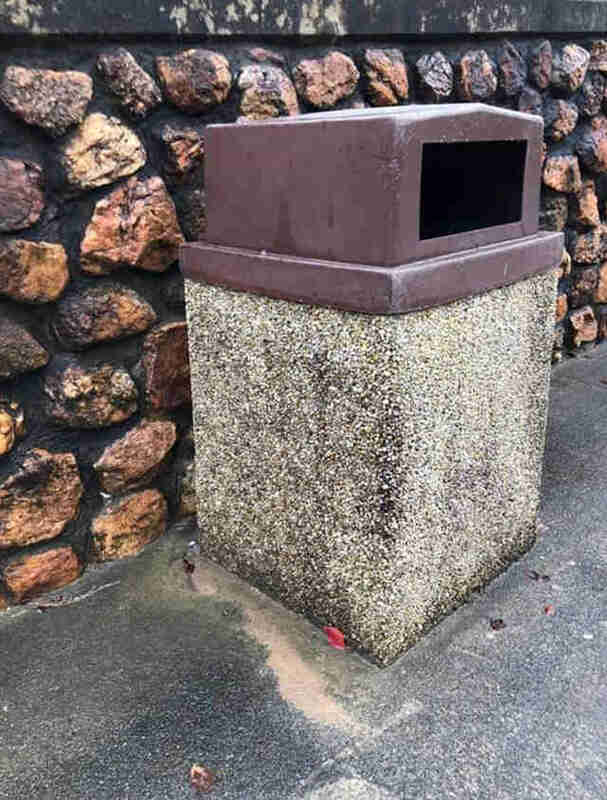 Early Tuesday morning, an employee was starting her day at the Georgia Welcome Center, just across the South Carolina border, when she noticed a garbage baglying next to a trash can. In an effort to tidy up, she bent down to put the bag back into the bin, but stopped in her tracks when she heard a pained cry. 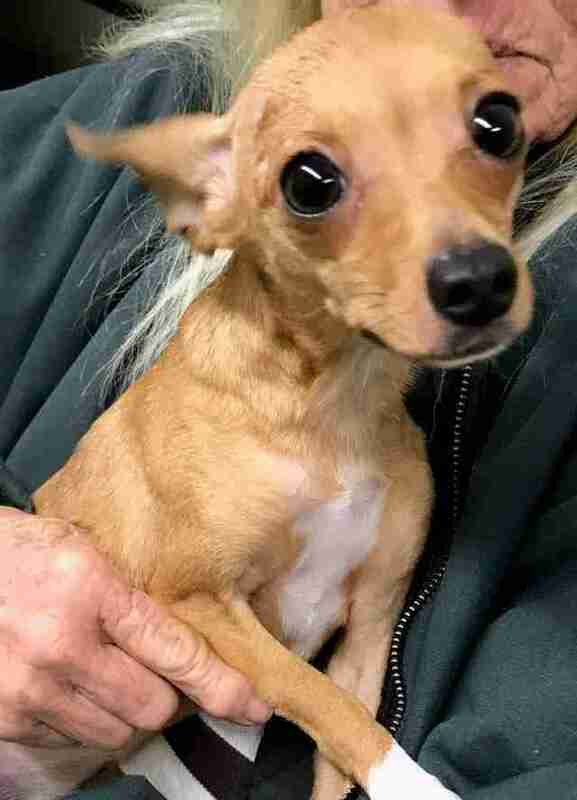 There, inside the trash can, shiny marble eyes belonging to a tan Chihuahua weighing no more than 6 pounds stared back at her. The staffer immediately lifted the scared animal out of the bin and brought her inside. 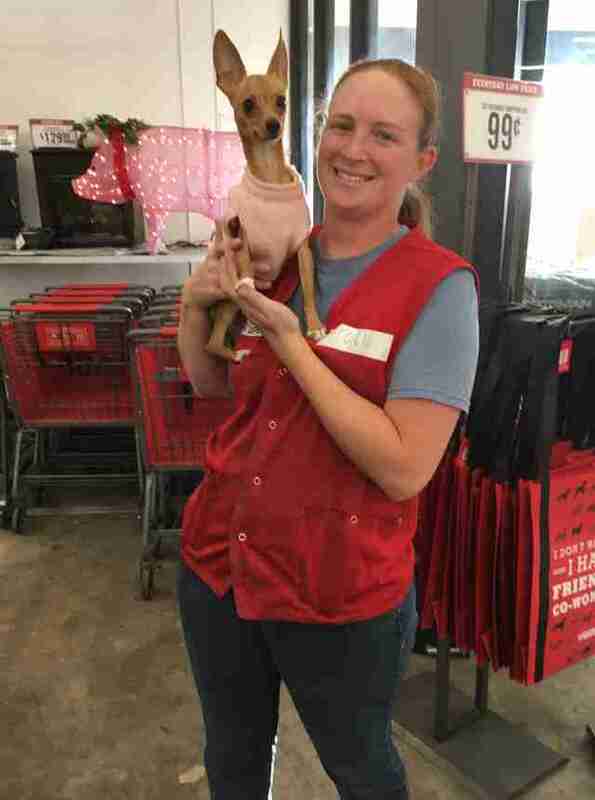 Not sure what to do with the abandoned dog, and fearful that her supervisor would arrive any minute, the woman called a coworker who had previously volunteered with Hart County Animal Rescue for advice. The dog, now named Carolina, was brought to the vet, and held overnight for observation. 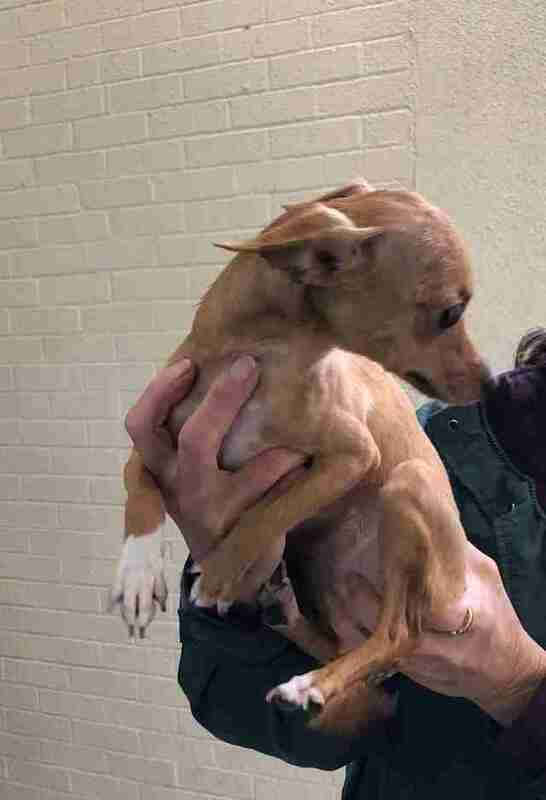 “She was wet, cold, hungry and scared to death,” Judy Partain, director of Hart County Animal Rescue, told The Dodo. After a week of freezing rain in the area, it seemed a miracle that the frail, young dog had escaped the worst. 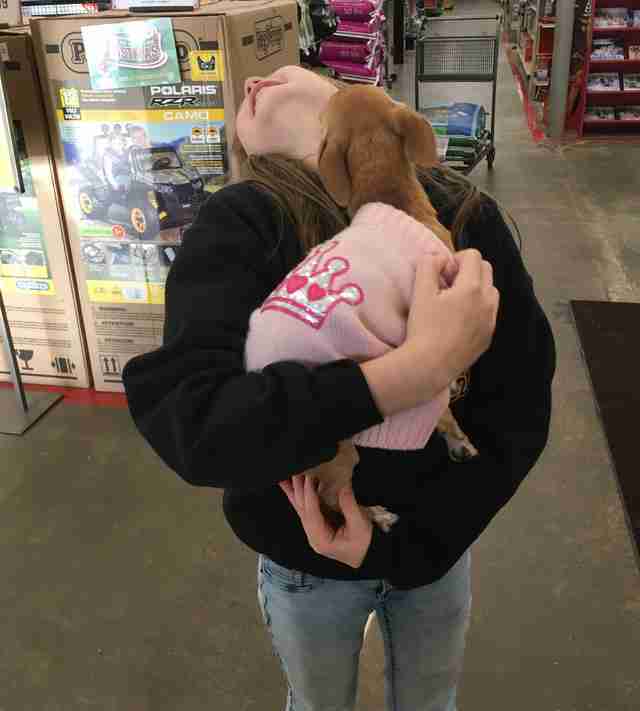 Since she was not microchipped and there were no video cameras in the area where she was left, the rescue cannot track down her original owners or learn why she ended up in a garbage bin like a piece of trash. The next morning, Carolina was picked up by the rescue and brought to Partain’s home to recuperate. To say she’s adjusting well would be an understatement. Since arriving, Carolina has surprised everyone with her puppy energy. She’s always eager to run and play with Partain’s three other foster dogs, or to snuggle up with her rescuers and take naps under the bed covers. After Caroline’s stray hold is finished and she has been spayed, the little dog will be ready to go to her forever home. 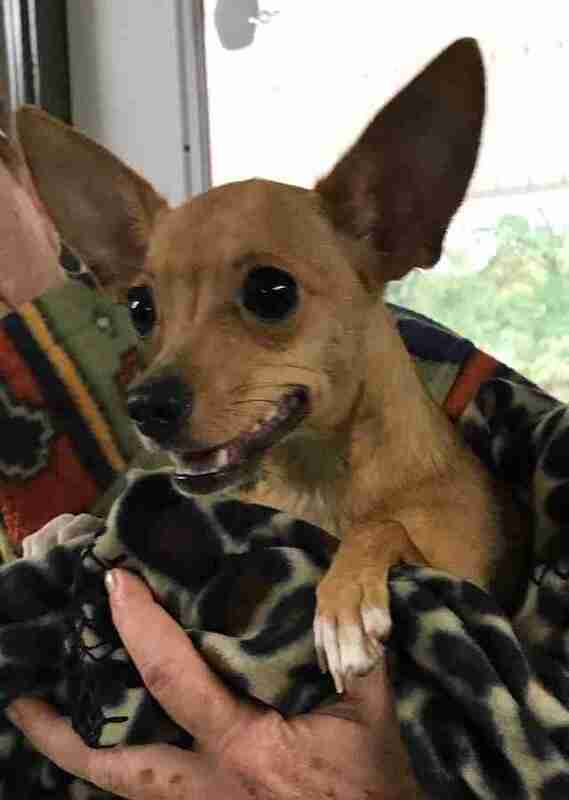 The rescue hopes that Carolina will not only find a loving home, but will possibly encourage more people to open their hearts to other homeless dogs in need.